The second format can only be accessed by principals. It enables them to see any differences between their own responses and teachers’ responses. This can be a powerful starter for reflection and inquiry. We provide this separately to preserve confidentiality. 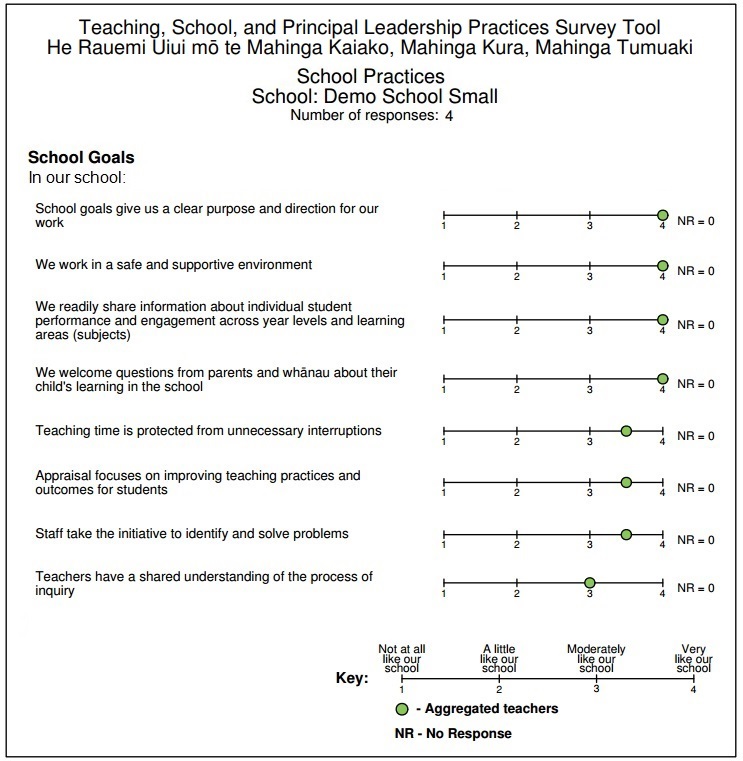 Principals can choose whether to share this second report format with their staff and others they work with. 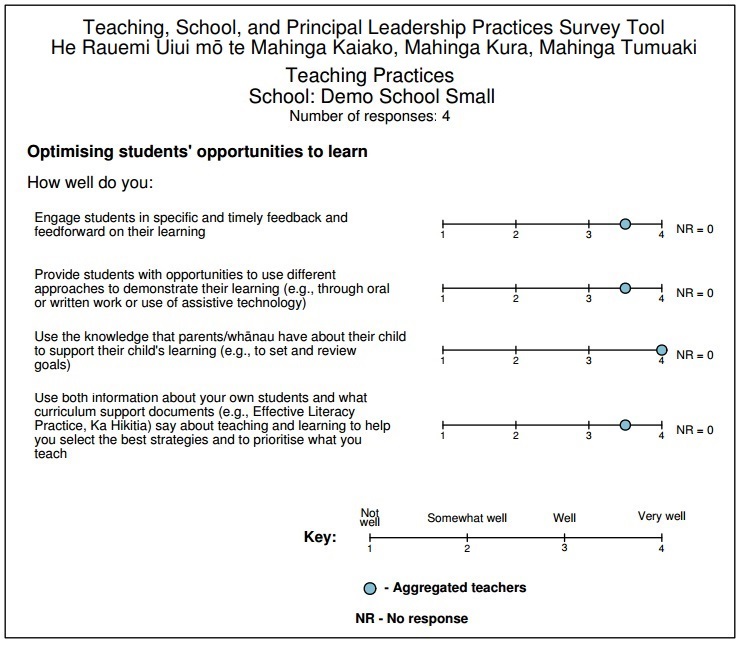 These bar charts show the proportion of teachers who chose each of the response options, for each of the questions. 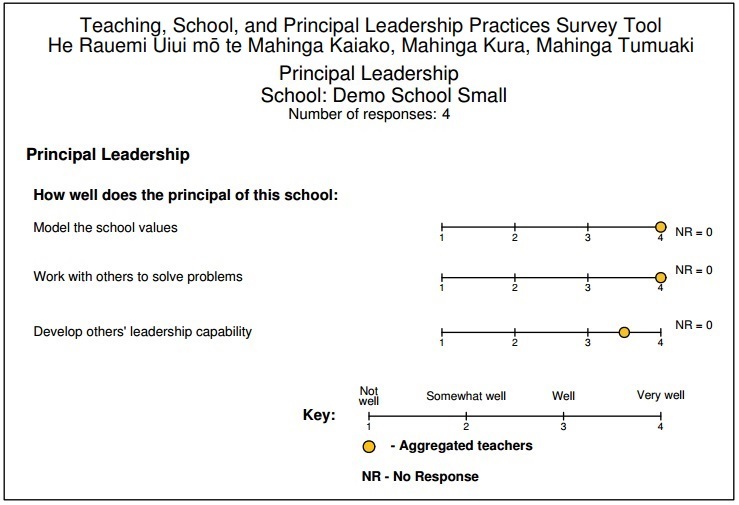 The total number of teachers who took part in the school’s survey is given at the top of each report. The number of non-responses for each question is presented to the right of the bar chart. 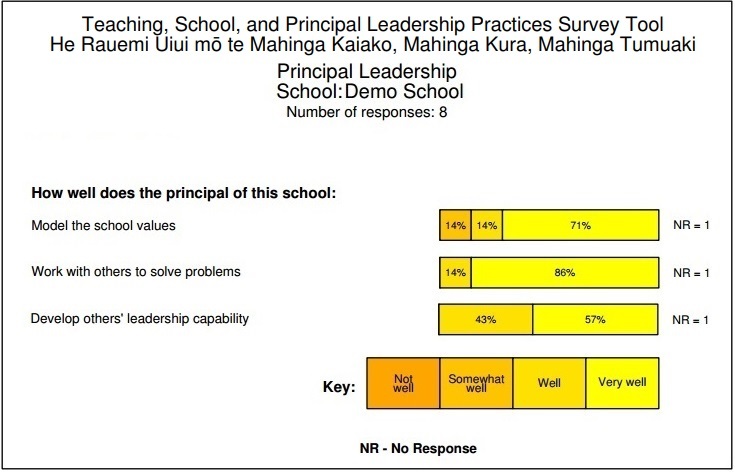 The number of non-responses can give an indication of how many teachers felt either they did not know the answer or could not decide which answer to pick. To preserve confidentiality, reports where there are fewer than 5 teachers give median responses to each of the survey questions. We can’t provide you with a report since with small numbers it might be possible to identify individual responses. 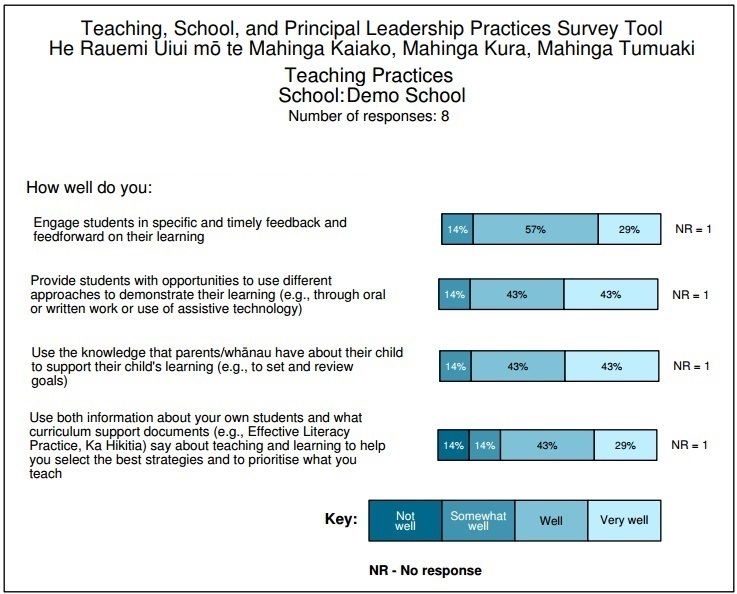 What some small schools have done is to do the survey, print out their responses, and looked at those together. This approach needs to be voluntary, and is appropriate where principal and teacher(s) have a high degree of trust.